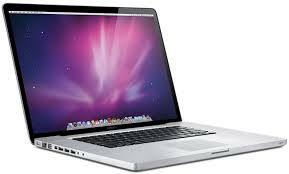 Testing conducted by Apple in March 2010 using preproduction 2.53GHz Intel Core i5–based 17-inch MacBook Pro units. Battery life depends on configuration and use. See www.apple.com/batteries for more information. The wireless productivity test measures battery life by wirelessly browsing various websites and editing text in a word processor document with display brightness set to the middle setting.